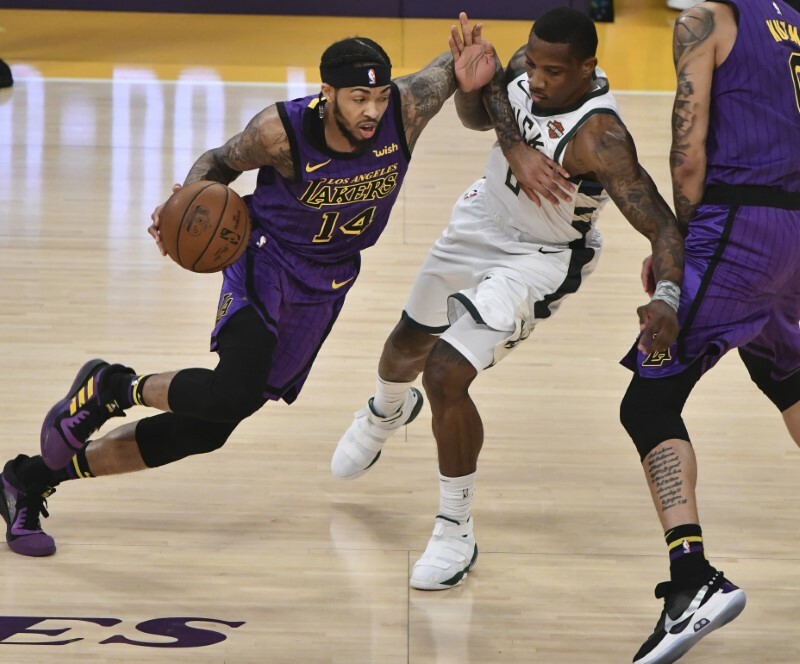 Los Angeles Lakers forward Brandon Ingram had surgery on his right arm Saturday and is expected to be ready by the start of the 2019-20 season, the team announced. Ingram underwent thoracic outlet decompression surgery, performed by Dr. Hugh Gelabert at the Ronald Reagan UCLA Medical Center. Earlier this month, Ingram, 21, was diagnosed with deep venous thrombosis, which involved a blood clot that caused shoulder pain. After the diagnosis, the Lakers announced he would be out the rest of the season. Ingram, in his third NBA season, averaged 18.3 points, 5.1 rebounds and 3.0 assists in 33.8 minutes per game in 52 contests. –Golden State star Kevin Durant was held out of the lineup at Oklahoma City, missing his second straight game with an injured right ankle. Coach Steve Kerr told ESPN that Durant “most likely” would return for Monday’s game at San Antonio. Durant, 30, played nine seasons for Seattle/Oklahoma City before signing with the Warriors as a free agent in 2016. He is averaging 27.4 points, 6.7 rebounds and 5.7 assists per game this season. –The top-seeded United States squad will open its defense of its FIBA World Cup championship this summer against the Czech Republic. The draw for the 32-team tournament was held in Shenzhen, China. The United States will also face Turkey and Japan in Group E.
The FIBA World Cup will be held Aug. 31 to Sept. 15, with play in eight cities across China. The United States, coached this year by Gregg Popovich, is the two-time defending champion.